How To Control Dust In Your Office | Ace Uniform Services, Inc. Dusty office? No problem! Give Ace Uniform Services a call! Are you an owner of a commercial office space? Have you taken a look at the cleanliness of your office recently? It may be long overdue for a thorough cleaning! It is quite astonishing how quickly dust can accumulate in an office. This is especially true if you have hundreds of people coming in and out of it every day. 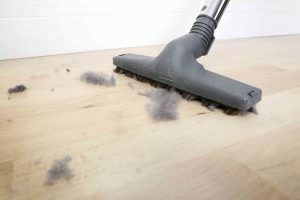 As harmless as it may seem, dust can be a menace to the inside of a building. Not only can it make your office look and feel dirty, it can also become a significant health hazard to all of the employees. Here are some helpful ways you can control dust in your office! The thing about dust is that it could be anywhere! You may think your place is thoroughly cleaned until you look behind those file cabinets that haven’t been moved in the last few months. It is important to realize that there are many hard-to-reach places throughout your office. A dust mop is an excellent way to extend your reach with minimal effort! If you don’t already have one, a dust mop can be a great investment for your office. The importance of floor mats for a commercial office cannot be overstated. Not only they help with branding efforts and preventing slips and falls, but they will help limit the amount of dust inside of your building. They do a fantastic job at limiting the amount of dirt that enters your building. All the dirt that is currently in your commercial building came from the outside. More than likely, it probably came through your front door. By having floor mats at the entrances of your building can help prevent people from bringing in dirt into the building. Sometimes, you are just best off leaving some jobs to the pros! A dust control service may be just what your office needs! We Ace Uniform offer our very own Dust Control Service, which provides clean dust mops. We will make sure that your facility is clean and safe! This entry was posted on Friday, September 22nd, 2017	at 1:51 pm	. You can follow any responses to this entry through the RSS 2.0	feed. Both comments and pings are currently closed.